Just a little update, we have just been busy living really. 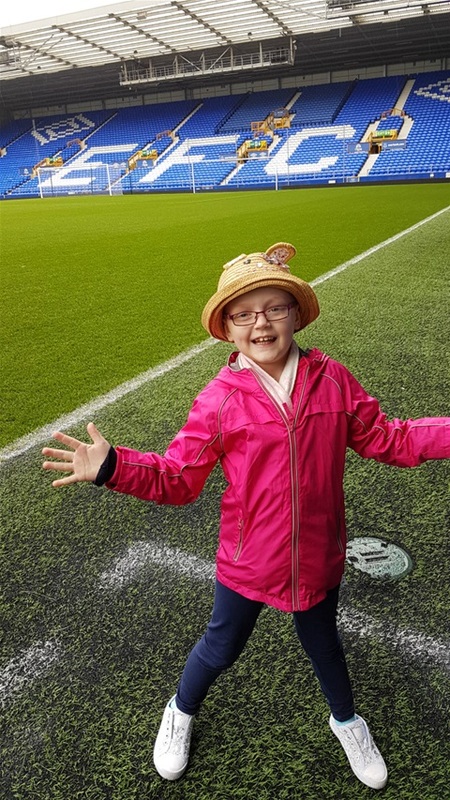 Amelia is doing fantastically well, she continues to do her dancing and just before the school Easter break she was going to school on a near permanent basis, she even managed to go through the school gate on her own. Seems a small task but it was a massive hurdle for Amelia. Amelia seems in really good health, you wouldn't think what's happend, happend, if I'm honest. It feels good, a long way to go (555 days, thanks Gal) to be precise, but it feels good. As most of you would have seen we managed a week away in Cheshire, we had a fabulous time. We went to Chester Zoo, Everton FC and even done a steam railway! What was most needed though is a break away from nurses, hospitals and the general day activities that have taken over our lives for the last 10 months. Being together as a 4 was just what we needed. I've uploaded some photos in the gallery. Tracyann and I have also been trying to do some normal things, we went to London at the weekend and watched a musical "The Girls" although a little close to home, it was very good. Last Sunday the 2nd April Faversham Strike Force FC supported AMelia and CLIC Sargent in "A Mile for Amelia", it was a great morning, with the sun shining brightly, everybody associated with the club came out in support and run/biked/walked the mile around The Mount in Faversham, the guys manged to raise over £600 for CLIC Sargent, well done to all, espically Natalie for organising! As you all know, I often milestone this journey, just using dates in the diary (Easter etc.) After Easter is when Tracyann goes back to work on a part time basis, I know how tough this is going to be on her, but, we know it means it's another step back to our normal lives. Amelia will look to go back full time to school, slow baby steps at first. Well, thats about it at the moment, just going along nicely. Happy Easter everyone, enjoy your time together.